Courtesy of The Inertia, Tokyo, Japan. 40 surfers will represent 10 different countries in the 2020 Games in Tokyo. The International Olympic Committee announced 20 male and 20 female surfers, including will represent 10 countries surfing’s Olympic debut at the 2020 Games in Tokyo. 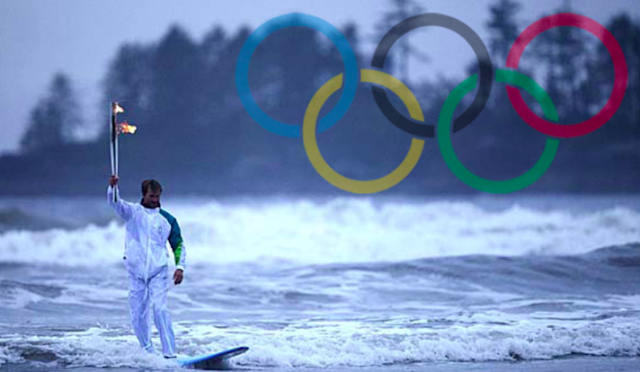 Like the Olympic 10K Marathon Swim, there is a maximum of two surfers per gender per country. The outcome was a result of decisions made by the World Surf League and International Surfing Association. All surfers selected must participate in 2019 and 2020 International Surfing Association World Surfing Games in order to qualify for the Olympics. The first 10 eligible men and first 8 eligible women at the 2019 World Surf League Championship Tour, the first 4 eligible men and first 6 eligible women at the 2020 ISA World Surfing Games, the top finishing eligible surfer of each gender from Africa, Asia, Europe and Oceania at the 2019 ISA World Surfing Games, the first eligible man and woman in the surfing competitions at the 2019 Pan American Games will qualify, and one man and one woman from Japan qualify. If the Japanese surfers qualify through the Olympic qualifications, then their slots will be reallocated to the highest ranked eligible surfers from the 2020 World Surfing Games. All eyes in Japan will undoubtedly be on Kanoa Igarashi who was born in Japan and is a well-known star there, but he really came into his own in Huntington Beach, California [shown above].